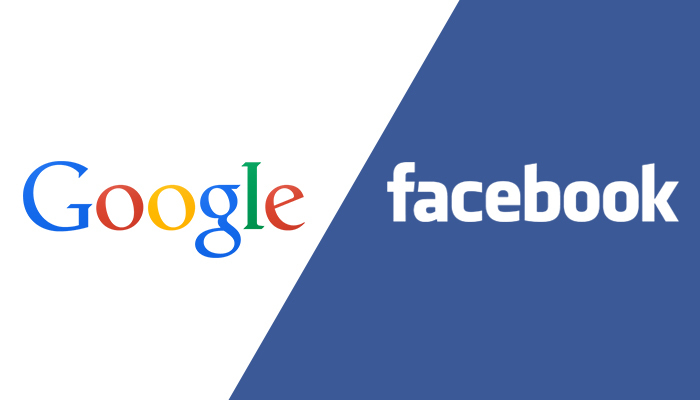 Should Facebook Ads compared to Google AdWords? Google AdWords is the most preferred type of online advertising in Turkey. Of course, the fact that Google is the most used search engine in our country has a part in this. Other than AdWords, advertising banners marketed by the other media planning agencies are demanded high, while Facebook ad formats have started to attract the brands and get their digital budgets during the last two years. So, how far can Facebook ads go in Turkey, can it get a part from the lion’s share of AdWords? First of all, let’s talk about the advantages of Facebook. Facebook is a social network and is one of the few websites with the highest traffic in Turkey. For this reason, it is very attractive for the advertisers. Besides, there are many different formats of ads on Facebook. For example, you can show an update from your brand page in the Newsfeed of the as a Page Post, or you can create a Flyer and show it on the right side of the homepage of the target group. If you are working on a new product, you can display the question you want to the target group or you can present it from Facebook if you have an Offer. Having a brand page on Facebook and communicating from there is an important step; based on this, many brands attract the users to their pages with Page Like ads and give them the message they want on their page. Seeing the rapid increase in mobile usage, Facebook has also worked on this and has given the opportunity to the brands to show ads on mobile. All of these features show that Facebook has a wide playground, but there are doubts about certain issues as not all the criteria can be controlled. The fact that Facebook is a social network is both advantageous and disadvantageous in terms of advertising. According to the estimates of Facebook, there are 83 million fake accounts. And a bigger problem is that the users can enter wrong personal information. When you set a target for your ads, if you choose university students or graduates, or if you take the relationship status as the basis, you can easily be mistaken regarding the target group. Likewise, the probability that many targeting parameters from birth date to career choice to be not real is the biggest disadvantage of Facebook ads. It is also a big doubt that how much of the users, which you have brought to your page with ads, not organically, will be following your communication. Google AdWords search engine ads make the negative aspects of Facebook even more obvious. This is because searches that show your ad are already searches that are directly related to the brand or product that the user is looking for. So, if you are selling Samsung Galaxy S4, you are already showing your ad to the user who is looking for that product. For this reason, you do not have any concern to attract a certain target group. As you can direct the searches to any URL you want with the message you choose by using various keywords, you can offer the product you want to the user. In addition to this, AdWords is also seen as the most effective complement to traditional advertising. The user immediately searches on Google a product he saw on the TV and sees your ads. These parameters show us that it is not right to compare Google search engine ads to Facebook. You can also advertise on search section in Facebook, but you have to specify the words specifically for it, so there is no intelligent “Did you mean it?” algorithm like Google. The Google AdWords can also publish ads in mobile, and even customize ads for the mobile. The click to call feature is an example to this; the user is able to dial directly when they click on the phone number in the ad space. In addition to this, AdWords offers a very effective advertising space that you can use against your competitors. You can also add your competitors to the keyword list you created for your ad searches and show your own ads when they are searched for. Since AdWords is a Google product, it also allows you to improve performance and provide more detailed analysis by ensuring 100% compatibility with other Google services. Google Analytics, Website Optimizer, and DoubleClick are examples to these services. You can think of the SEO service from you agency as a natural complement to this. Since Google also owns YouTube, which is considered the world’s 2nd largest search engine, this strengthens the hand of AdWords. You can publish an ad over AdWords for the video you uploaded to YouTube, or you can show your ad as a video banner or video in certain categories. In addition to this, with the masthead ad model, you can use the option to advertise on YouTube’s homepage which receives more than 10 million hits a day in Turkey or you can compete with TB ads by using the TrueView Video ads. The Google Display Network is the only ad model that can be compared in parallel with the Facebook ads. Google has a banner area in 83% of all web sites on the internet, and it appears in front of Facebook in visual ads with its advanced targeting system (categorical or direct site). Google can also show its display ads on the web sites that are related to the target words, and you can reach directly to the right users in this area. In Facebook, as I have already mentioned, you choose the place, gender, age, likes and interests, relationship status, business and education status of the user, and you assume that this information is entered correctly. Being measurable, which is the most important feature to be used in moving the brands in Turkey from traditional advertising approach to digital, makes AdWords more prominent than the other advertising models. As a performance agency, our greatest advantage is the extremely good use of measurement techniques. I tried to roughly analyze the two most important aspects of digital advertising, Facebook ads and Google AdWords. Both types of advertising are, of course, not limited to these, but taking the most important criteria for the brand into account, we can come to the conclusion that Facebook needs to improve itself a bit more. From now on, we will see over time how these advertising models can respond to the needs of brands.